The Cycle Alert founders approached ASH concerned about the increasing number of cyclists who died after collisions with HGVs, especially in large metropolitan areas, and convinced that a technological solution could help prevents such accidents. Cycle Alert was developed as a safety system that alerts drivers of HGVs to a cyclist’s presence and consists of three parts: a) a Cycle Unit that fits on a cycle emits a signal that is detected by b) Side Sensors fitted to a HGV, which in turn relay information to c) a Cab Unit fitted inside the driver’s cab. The system is based on a distributed RFID technique that gives all round coverage to a truck. Novel low-power techniques and design resulted in battery powered side sensors with a 10 year life that allow an installation time of only thirty minutes to HGVs. Cycle sensing systems currently in use utilise video or ultrasonic detectors which either have a high false alarm rate (i.e. they detect street furniture) or require a lot of driver attention. 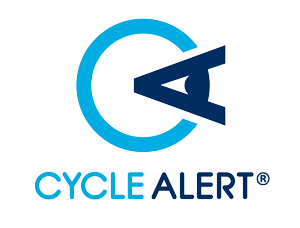 Cycle Alert was developed to have a very low false alarm probability and draws attention to the driver only when necessary. The design of Cycle Alert required a tight integration of real time software, low-power electronics and RF design. The design is based around one of STMicroelectronics’ 802.15.4 Cortex M3 devices. The design team used their experience from low-power wireless design in instrumentation and location devices, coupled with excellent and efficient electronics design, as well as a partnership with internationally known product designers, to achieve a beautiful and highly functional product. Cycle Alert ’s inception occurred after the co-founders heard of a story of a cyclist death following a collision with a HGV on a roundabout. Compelled to combat the issues of road safety and awareness, they set about laying the foundations of what would become Cycle Alert. 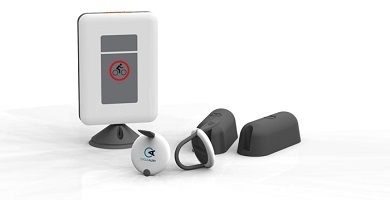 Armed with a product that has the ability to drastically reduce the number of cycle and lorry related fatalities and serious injuries on the road, their vision for Cycle Alert is to combat the risks of using UK roads and to educate all road users on how to practice safe transit. “It has been a pleasure working with Steve and his team at ASH. We have a fantastic relationship with them and ASH are more than just first class electronic engineers to us; Steve is really an integral part of our team.